Sequel to Microsoft's best selling Midtown Madness, this time featuring two, at the time at least, impressive recreations of London and San Francisco. Featuring many more licensed vehicles than the last installment, the main meat of the game consists of a stunt mode in San Francisco and a taxi driver mode in London. 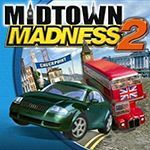 Despite its enjoyable playability, time has not been kind to Midtown Madness 2, as the whole game feels rather dated and dry, not to mention the fact that the crash physics were far more obscene than the original, with traffic cars seemingly weightless. Speaking of which, have you ever seen such poor quality traffic cars? Why are we even listing the traffic cars? They're just generic boxes not representing any real car. Despite their lack of texture quality, they are still vehicles nonetheless - if they are really that unidentifiable then they will be listed as "made for game", although other members have apparently found resemblances. They were poor quality so they could cram thousands of them in...you could get it up to gridlock level. Which at the time was very impressive. Problem is, it was more an epansion of MM1 than a full sequel.Not much you can change in a year. It crashed to desktop a lot. Star Wars Fanatic wrote Despite their lack of texture quality, they are still vehicles nonetheless - if they are really that unidentifiable then they will be listed as "made for game", although other members have apparently found resemblances. 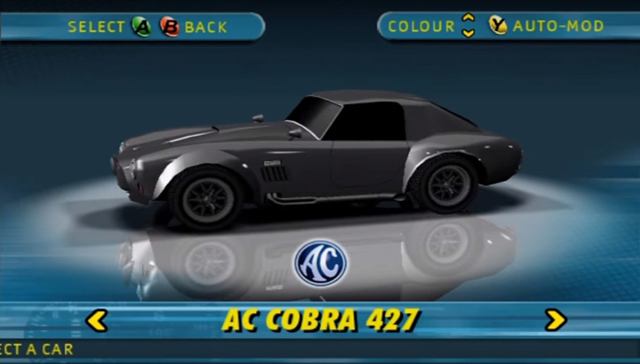 The in car games may have been crap quality, but it is one of the easiest games to modify with cars that look exactly like what they should do from dedicated people who create them. I reccomend trying it out, ti makes the game so much better. No, its a mod, i install a lot of mods in MM2 and i like enjoy play it !! Do you think is it good idea to show here unreleased/hidden MM2 cars(two traffic ones and three player cars)??? I miss it too. And the (intentionally crap) 80s Holden Commodore. Quote Do you think is it good idea to show here unreleased/hidden MM2 cars(two traffic ones and three player cars)??? Old Cadillac Eldorado, Moon Rover, and a different fire truck? Yep. And two more traffic cars. I can post pics of them as comment here, but indeed, IGCD needs custom options depending of the car is available only in a Special Edition, being removed from final, hidden or just unused. Unfortunately I never played this game. Please check my suppositions about in game vehicles. sajmon14 wrote Merry Christmas everyone! Thanks sajmon, for you too! You guys forgot about the 2-siter sport (Acura RSX). I played this when I was about 3 or so, now I have it personally on my PC. Oh, I find Sajmon14 custom map Polish roads I was like: Nooo, that cant be IGCD Sajmon. And then I read his profile! I must try it out. I saw on your site some lovely cars, like your Fiat (my neighbour has it, and it is quite funny due to her weight/size and car size, she nearly cant fit there ) or ´93 Mustang. Are these cars compatible with MM1? D´oh! At least I have both MM1 and 2, so I will play more MM2. Can I make a few pages for the beta cars? There weren't any beta versions, as far as I know. 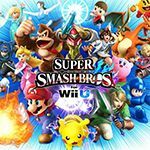 All "beta" stuff was found in final versions of the game. I know that the 1959 Caddie can be added...the 2nd version of the American LaFrance Firetruck I believe should be added. It was actually supposed to be used in case if the one now used in-game didn't work with it's trailer. It was known that the Freightliner Centuries' flatbed trailer was scrapped due to physics issues. (which would cause the trailer to just spazz out, pretty funny bug for us players.) So, they made another version with the fire equipment attached to the cab unlike the one with the fire equipment as a trailer. Honestly, IGCD should have an option to list it as a hidden/beta car...that would help us tremendously. There are alot of games that have hidden vehicles in beta versions. Gran Turismo 2, Juiced...I could go on! Did they also hide the Pontiac Firebird in that game? Anyway, could we look into having this feature added? Beta/cutted vehicles? That would be really interesting. Because this one is ingame. 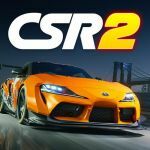 Automotive Gaming wrote Beta/cutted vehicles? That would be really interesting. Oh okay...I was looking at a video of a beta version and the preson who played the game had a Firebird...and I don't have Juiced so I don't know the cars. 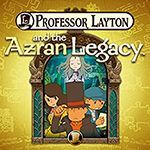 Yeah, hoping that the Revisited versions would be okay. Basically the original beta cars are the same thing, except the Caddie originally had a black triangle on the side of the car. There are reasons and a few speculations as to why these cars weren't added. The reason why the old-school Eldorado was scrapped is because of licensing issues. Microsoft couldn't get the license to use the 1959 Eldorado, because like the car itself, you need the money to buy it! So, they made another version (of the Fire Truck) with the fire equipment attached to the cab unlike the one with the fire equipment as an additional trailer, so just in case if the one with the trailer didn't work. I speculate there WAS a purpose to that Moon Rover. I think they were planning to use it in a Crash Course mission. The missions are pretty imaginative and quirky and I suspect they would have used the Moon Rover as a car only used in one mission. But seriously, just why not add a check box with the short sentence "This car is a beta/hidden vehicle" next to it? It can't be that hard to add a few lines of html to a website like this! The voice of Ed from Ed, Edd 'n Eddy, Matt Hill, has done the voice for the hippie in SF and the Scot in London. Can I put the unused Red Rocket, Silver Eagle Fire Truck, and 1959 Eldorado?